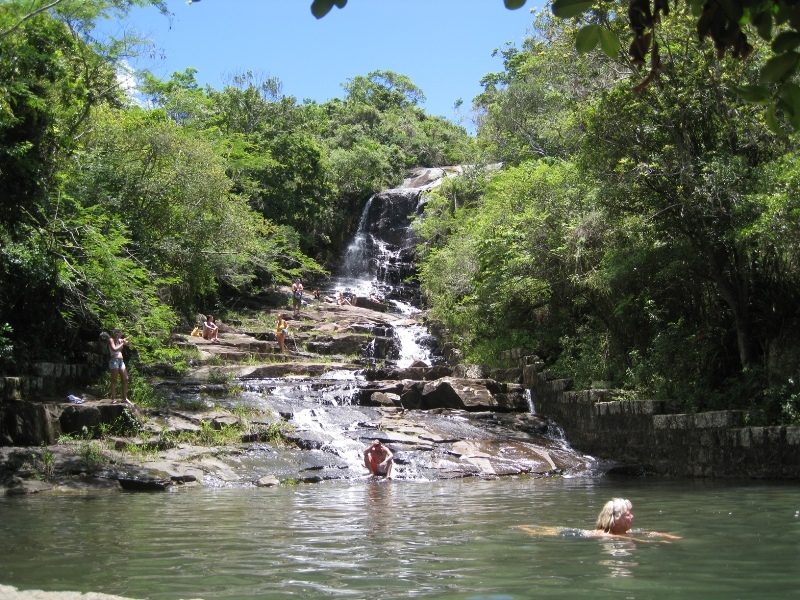 This trip will take you to the most enchanting places of the Conceição-Lagoon. After leaving the bay we enter the magic world of the largely untouched nature of Costa da Lagoa. Our first stop is right at the end of the lagoon. At the Morro dos Macacos (monkey hill) we can observe the overwhelming flora, the birds and with some luck even the monkeys. After a walk or a swim at the Saquinho-beach, we will serve you Anna’s famous Caipirinha (included). Then ONDANÇA takes you to the village of Costa which you can only reach by boot or on foot. Here we will visit the viewpoint with its stunning view of the lagoon and the ocean. On the way back you can have another swim at the waterfall before lunch* is served at a pleasant seafood restaurant at the waterside.